Donald Trump has found his Instagram posts flooded with comments from Chileans calling him a “piss head”. 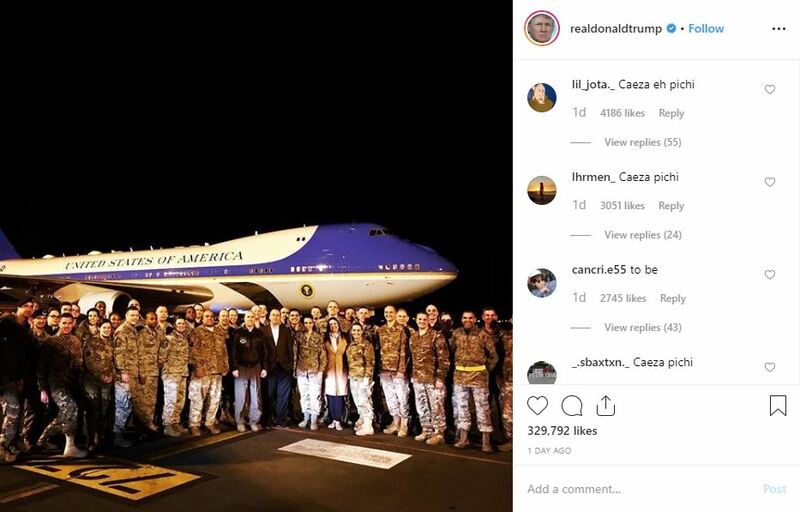 The phenomenon was spotted by Twitter users including journalist Jules Suzdaltsev, who noticed scores of people commenting on the American president’s posts with variations of the phrase “cabeza de pichi”. The phrase is used in Chilean Spanish to take the, ahem, mickey out of people with blond hair. And while the proliferation of it on Mr Trump’s Instagram initially caused bewilderment to anyone outside of Chile, thankfully some clued up people were on hand to explain. The deluge of urine-based slurs is thanks to comedian Felipe Avello, who said in a routine on Chilean TV that he used the term to mock Mr Trump on social media. 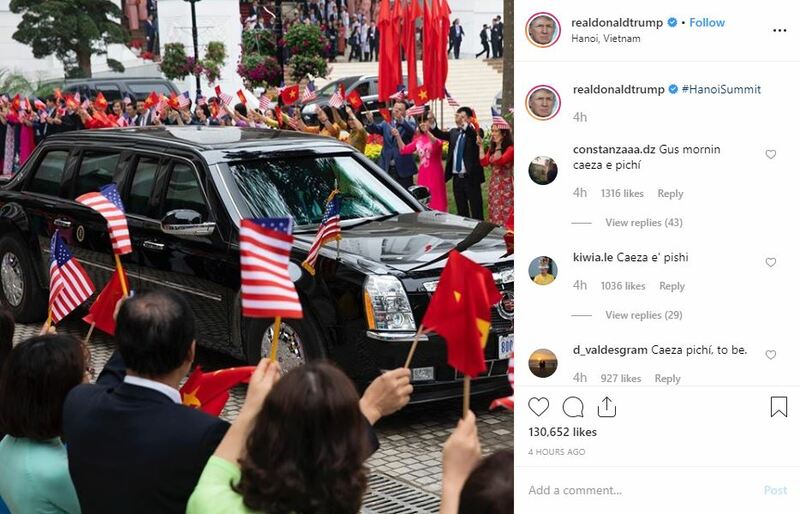 And it certainly appears to be catching on, with variations of the phrase appearing prominently in the comments on all of Mr Trump’s recent Instagram posts. 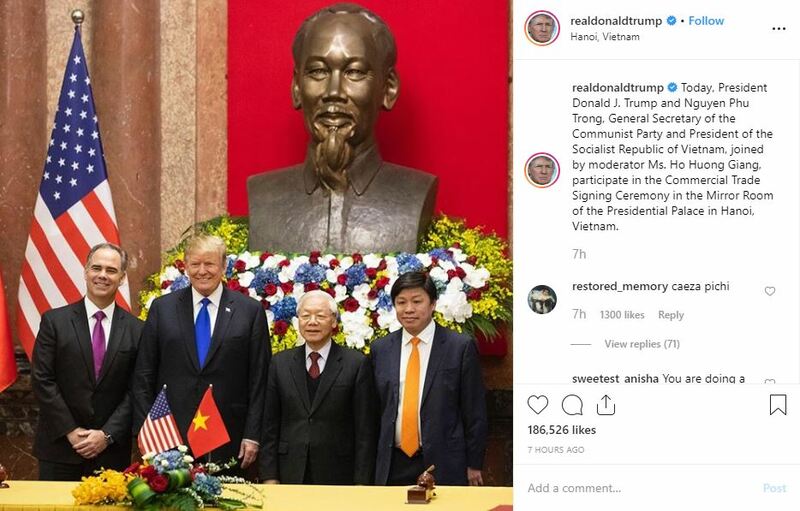 It’s probably not the sort of response Mr Trump was hoping for as he embarks on his second summit with North Korea’s leader Kim Jong-Un.